What’s the Best Skin Treatment for You? Are the sun spots on your face or poor skin texture bothering you? Or has your skin just lost that youthful, healthy glow? Would you like to learn what is the best skin treatment for you? A proper skin regimen is an integral part of your skin health. When you’re trying to be well from the inside out, a glowing complexion can be just as important as an optimal hormone and nutrition plan. Take this 2-minute quiz to assess your skin and which skin rejuvenation is ideal for you. Beautiful skin is closer than you think! 1) What is your age? 2) Which of the following best describes your current skin care regimen? A) I use some form of skincare on a daily basis. C) What is a skincare regimen? 3) I would describe my skin as _____. A) Oily and shiny. I need to powder my nose frequently. B) My skin feels tight and dry. C) I’m a combination of both! Oily in some areas and dry in others. A) Little fine lines and some puffiness. B) Dark circles and skin that looks dehydrated. I see fine lines as well. C) Skin that looks loose and saggy. It is puffy and I have crow’s feet. 5) Which of the following describes your main concerns about the appearance of your skin? A) I feel a loss of firmness. I am beginning to see visible signs of sun damage and fine lines. My skin also feels rough to the touch. B) I definitely see fine lines and deeper lines beginning to form. My pores are more noticeable and my skin appears uneven in color. C) Help! My face feels rough to the touch. I have brown patches showing and my skin looks sallow. I see deeper wrinkles and fine lines everywhere! If you answered mostly A, our lighter side essential treatments can help you to reveal healthy, radiant skin. It is a powerful way to rebuild and rejuvenate aging skin. If you answered mostly B, it is time for you consider a more comprehensive regimen designed to reverse existing signs of aging and prevent future signs of aging. If you would like a softer, smoother, more even complexion you will benefit from BBL (Broad Band Light) treatments. If you answered mostly C, and you are ready to both see and feel a difference, you need to say, “Hello” to Halo! Halo is a state-of-the-art laser treatment that eliminates years of damage and restores the youthful glow you remember. Halo is a complete skin rejuvenation treatment that will improve your skin’s overall tone and texture, significantly remove discoloration, and reduce pore size. To maintain your regenerated, healthy skin, we offer Forever Young BBL treatments – usually 2-3x per year – for maintenance. Beautiful skin is closer than you think. 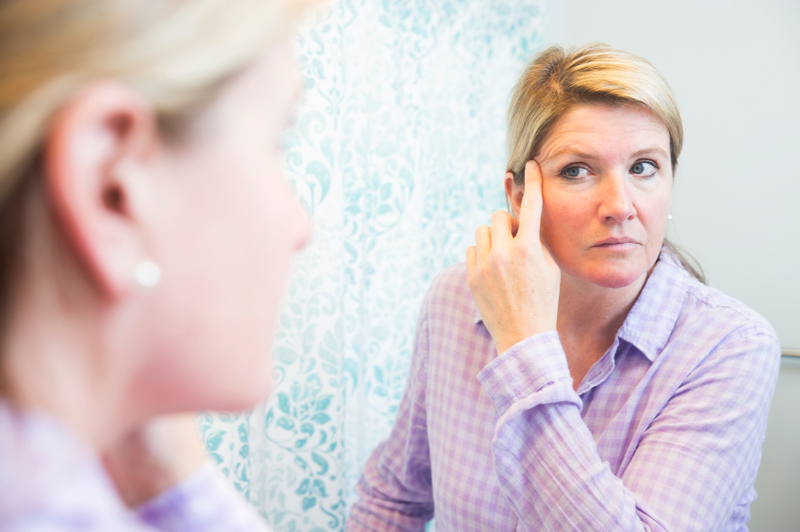 To learn more about whether medical skincare treatments are right for you, call (281) 698-8770. Our skincare specialists can customize a specific routine to meet your needs. My comment is that I would like a consultation on perhaps recording the Halo . Or to better assist on how I can restore my skin to a more youthful look. Our aesthetics team can assist you in determining what is the best skin treatment for you. Please give them a call at 281-698-8770 to set up a skin consult with our Visia Complexion Analasys (http://makeshift-worm.flywheelsites.com/visia-complexion-analysis/). They will be happy to assist you. Thank you for your question. Merry Christmas! This was a great little quiz to take, I ended up getting about a B, so I may have to take your advice and start a more comprehensive regimen. I didn’t actually know that there were so many different types of skin treatments you could get based on your different needs. I’ll have to look into this a bit more and figure out what kind of regimen I should be on since my skin definitely doesn’t look as good as it used to.